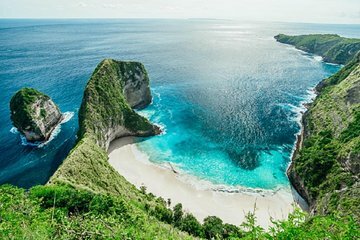 Venture away from Sanur and head to the western part of Penida Island on this private excursion. Sail across the blue waters towards some of the island’s beautiful beaches including Kelingking Beach and Crystal Bay. Visit the local Paluang Temple, also known as the Car Temple, built between stone carvings of a VW Beetle and Jeep and enjoy a delicious lunch at a local warung included in the tour.